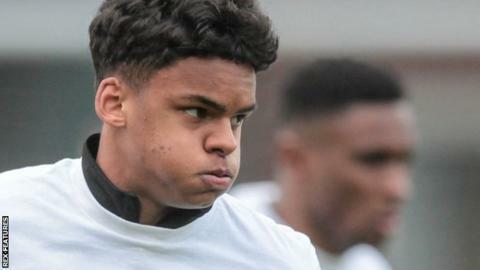 Scunthorpe United have signed Aston Villa defender Jacob Bedeau on a free transfer and Leeds full-back Tom Pearce on loan. Bedeau, 19, who never made a senior appearance for Villa after joining from Bury in 2017, has signed a two-and-a-half-year deal. Pearce, 20, has played five times for the Championship leaders this season. The duo could make their debut for the Glanford Park side in Saturday's trip to Barnsley.